The human fascination with spices is as old as cultural time itself. There is an obvious beauty to the various aromas and flavors these plant extracts express (have you smelled cumin lately? ), and undoubtedly these first drew us closer to them, but our primordial relationship with them involves much more than aesthetic infatuation. 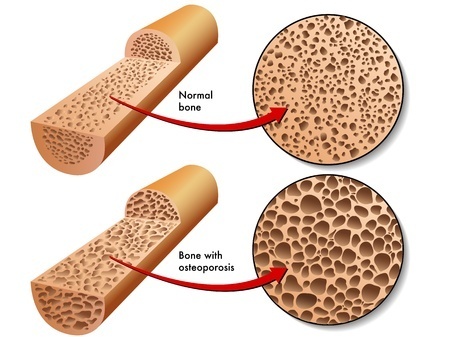 Worried about low bone density and hormone changes related to age? The powerful molecule known as genistein may be the ultimate drug free solution for you. Bergamot oranges are bitter fruits that grow in one of the world’s most beautiful coastal regions. Could the scenic ocean vistas be responsible for the calm, relaxing effects we derive from smelling and ingesting the bright, citrus essence of this amazing fruit? Research is discovering what ancient Japanese and Chinese medicine already knew: That dried plums slow the aging process with respect to bone loss. Two new studies indicate that black seed (nigella sativa) may provide a unique set of benefits to aging women by protecting both against metabolic syndrome and accelerated bone loss. New research published this week in the journal Heart has confirmed the findings of two controversial studies on calcium supplementation and heart attack risk published in the British Medical Journal last year, and which found a 24-27% increased risk of heart attack for those who took 500 mg of elemental calcium a day. Undeterred by mounting evidence proving the dangers of fluoride, power, prestige, and paychecks continue to motivate fluoridationists. If milk doesn’t build strong bones, what does? Here are 10 foods proven to help reduce fractures and keep bones strong. Professional education events are heavily sponsored by drug companies promoting their products as the solution. This widely used coercive and misinformation technique where drug benefits are exaggerated and side effects minimized was exposed in a recent BMJ Open study. Millions take calcium supplements to "protect their bones" completely unaware that this popular ritual is greatly increasing the risk of cardiovascular disease, including heart attack and stroke. Milk is the best food for building strong bones, right? Not so fast. When it comes to bones, one researcher says prunes are exceptional. Frankincense oil may receive most of the fame and glory, but the humble boswellia tree from which it is derived, can also create another powerful natural medicine. Oil and extracts of boswellia have been used for thousands of years to treat numerous health conditions. Is Your MultiVitamin Trying to Kill You? What comes to mind when you think of toxic waste disposal? Biohazard suits, lead-lined vaults, and burial deep underground? You might be shocked to learn that a dumping ground for these chemicals is a product that many people consume daily to ensure good health - and it may be in your medicine cabinet. Green tea is one of the latest superfoods making its way into bottled waters and energy drinks. Research shows it aids in the prevention of osteoporosis. Especially when coupled with tai chi. Recently, a disturbing study was published on the leading class of ulcer medication. The study found that proton pump inhibitors erode your mind while they heal your body. A large new Canadian study has uncovered the genuinely sour side to artificial sweeteners.